Savory: Good food, no matter how you say it. “It’s Savory. Pronounced with a short a.” I tell a friend. “Yes, I know, it’s supposed to be a long a, from the root word savor, but we’re talking about the restaurant, and that’s how my grandmother used to pronounce it.” I am adamant and insist on the pronunciation. She just shrugs it off and pronounces it the way I do, but I’m sure as soon as my back is turned, she’ll keep on saying Savory with a long a. How do YOU read their name? When Savory reopened years ago, my curiosity was immediately piqued. This was the restaurant my grandmother used to reminisce about. It was the chicken. It was better than anything you can try nowadays. I don’t know how it compares to the chicken they used to have. My grandmother has long since passed on, but if this was fractionally as good as what they used to have those days, they really had it good. Aside from the chicken, we also like ordering calamares. A lot. Almost all the time, actually. 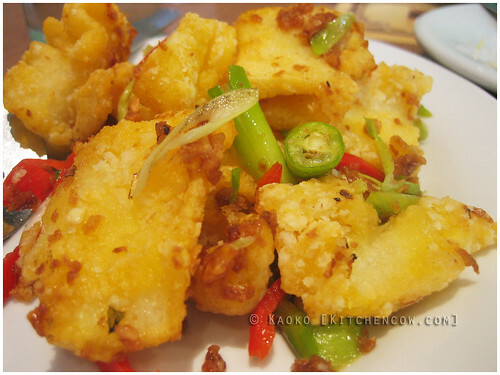 Gently cooked, the squid remain tender and easy to bite into, providing a wonderful contrast against the crisp coating. When we’re craving for meat, their lechon kawali is satisfying as well. 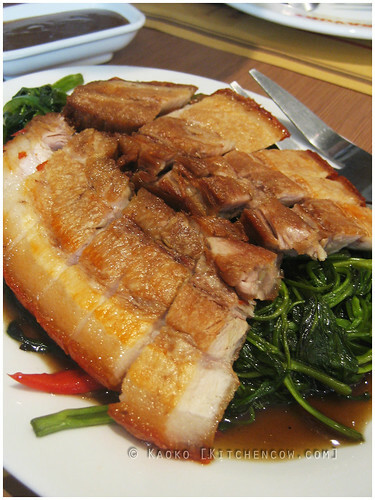 Crunchy skin, tender and flavorful meat, then served on a bed of adobong kangkong—can’t go wrong with that! 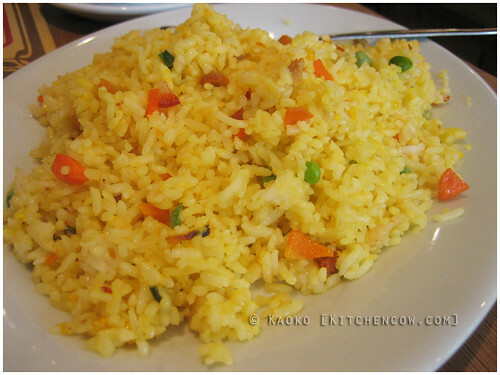 A Filipino meal won’t be complete without rice. In our case, we usually opt to get their fried rice. Tasty without being oily, everything goes together well, making for a satisfying meal. Not a meal without rice! Despite the relatively simplicity of their menu, Savory is a good standby for hearty family meals. We may argue how to pronounce it, but I’m sure we’ll all agree that food at Savory lives up to its age-old legacy. 4 Responses to Savory: Good food, no matter how you say it. We love Savory even the old ones. So glad that they decided to re-open. 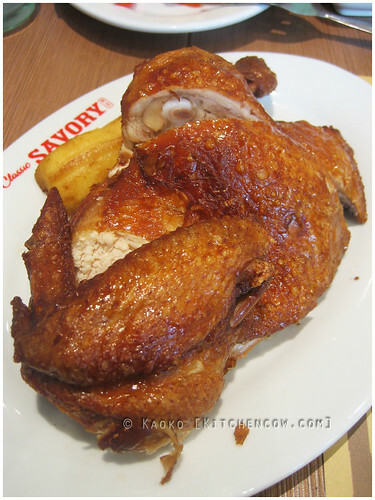 Nowadays we go to Savory at least once a month. The kids absolutely love the chicken and the squid.